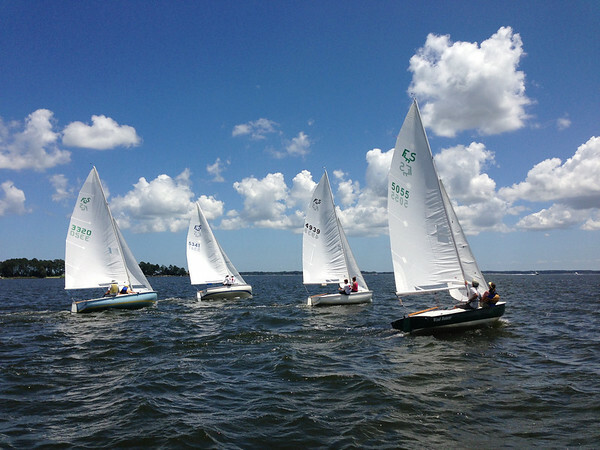 On Saturday I had the unplanned opportunity to be the PRO (Principle Race Officer) for Fishing Bay Yacht Club‘s Summer Sea Breeze regatta. I was all set to race a Front Runner, but we didn’t end up having a fleet and my crew Stephen Boling came along to help run race committee. Now I’ve been on signal boats and race committees a hundred times for everything from club races to national championships – but this was my first time actually being a PRO. Lucky for me the wind was steady enough not to have to change the course and we were able to get 5 races off for the Flying Scot fleet and all went very well.